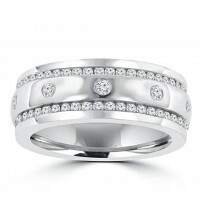 This beautiful diamond eternity wedding band ring has a bezel and channel setting holding each.. 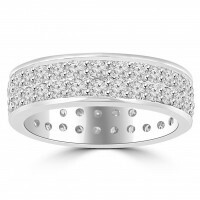 This beautiful diamond eternity wedding band ring has a shared prong setting holding each of t.. 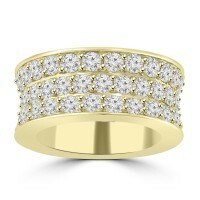 This fascinating diamond eternity band will capture your attention with its exciting diamond view go.. 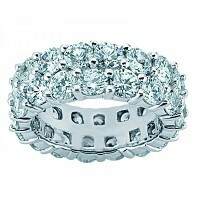 Stunning size and sparkle emanate from our spectacular round diamond eternity band with three rows o..